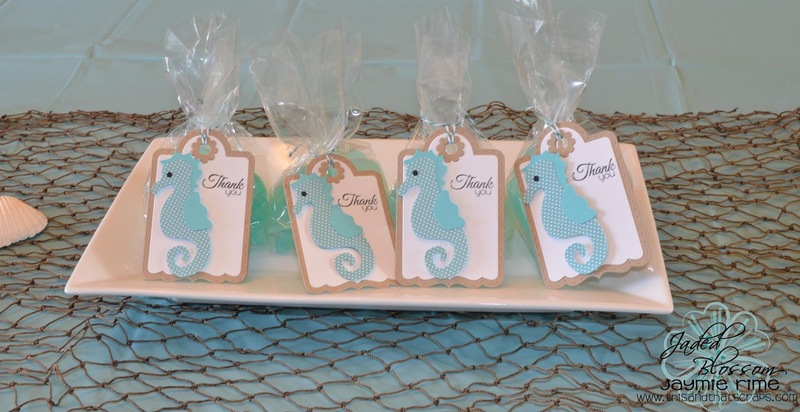 Hey everyone, it Jaymie here and I wanted to share the treats that I made for my daughter's "Under the Sea" birthday party! This cute little seahorse was made for me by Annie from SVG Cutting Files. 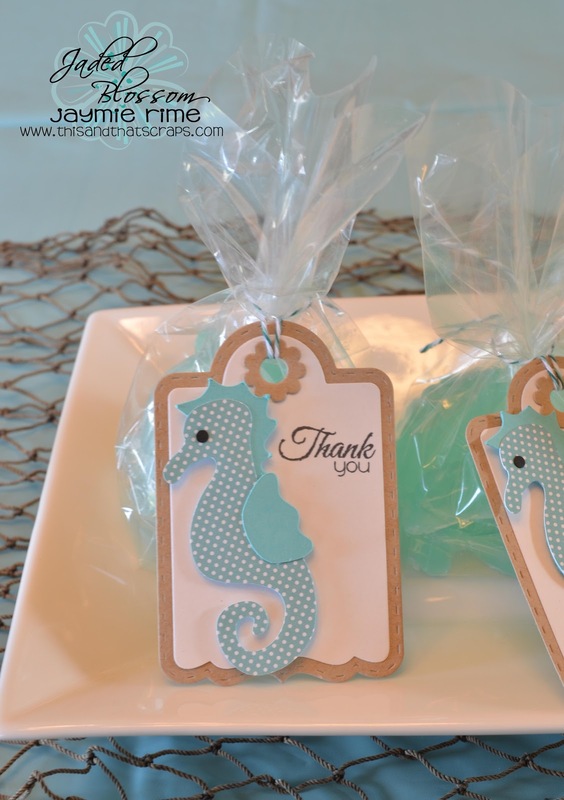 The gusset bags are filled with sea shell shaped soaped and tied with a little bit of Trendy Twine's Tickled with Teal.